Guest Post by Author Wendy Wax: "Women's Fiction is Packed with Facts"
You are here: Home / Berkley Trade / Guest Post by Author Wendy Wax: "Women's Fiction is Packed with Facts"
Here’s the thing: I spend a lot of time online. I found author Wendy Wax online, although I can’t tell you how or what I looking for at the time. But I can tell you that I thought — who is this author and where has she been all my life? My first Wendy Wax read was Single in Suburbia. I read it because I am. I am single and I am in suburbia (often referred to as Mayberry). The book was both poignant and funny — and of course — I emailed Wendy right away to tell her so. It’s not that a multi-pubbed author needs validation from me, it’s just that I thought – and hoped – that she’d appreciate the feedback because, well, don’t we all? And she did. Wendy wrote back right away and then agreed to write a guest post for Women’s Fiction Writers. Because…what other writers think and do does matter. How we impact one another is key. It’s how we stay connected and learn – on both ends of the women’s fiction publishing continuum. Just like we want to soak up the knowledge of those who come before us…I believe they like passing on their words of wisdom and knowing those words — and their fiction — has impact. At least that’s the warm, friendly feeling I got from Wendy. 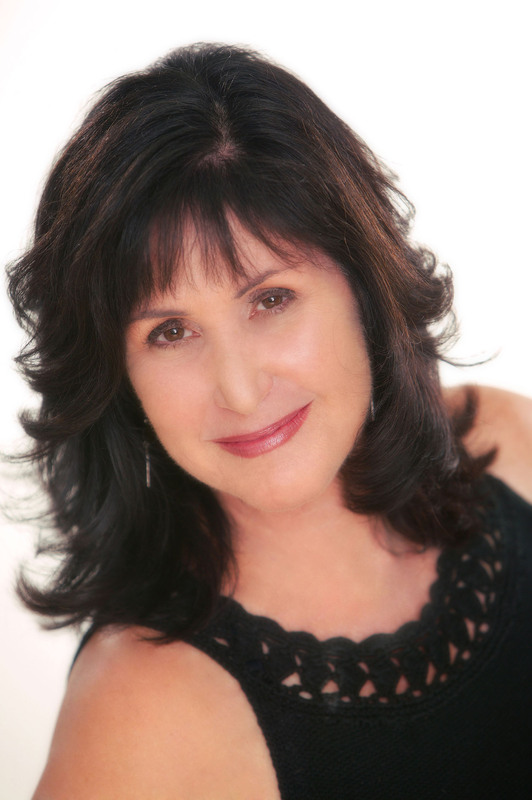 Please welcome Wendy Wax to Women’s Fiction Writers! And give one of her books (or all of them) a try, if you’re not already a fan. One of the greatest things about writing a novel is all of the really cool things you get to learn. As a former journalist, I spend a lot of time and energy trying to be sure that everything I ascribe to a character or build into the plot is at the very least possible. It may be fiction, but unless you’re writing pure fantasy that doesn’t mean you get to make everything up. In fact, I think good fiction is packed with facts. In the course of the nine novels I’ve written, I’ve searched out a pretty eclectic mix of information. The bra industry, cross dressing, financial fraud, beauty pageants and forensics (not necessarily in that order) were all need-to-know topics for an early comedy titled, Leave It to Cleavage. There was talk radio for 7 Days and 7 Nights and advertising and heart attack for Hostile Makeover. The publishing industry, at least those parts that take place inside the publishing house where authors seldom tread, televangelism, speed cooking, the Oprah Winfrey Show, New York City and Chicago neighborhoods and restaurants, helped me flesh out The Accidental Bestseller. For Magnolia Wednesdays, which was just rereleased in mass market paperback, I took ballroom dancing classes and had to track down the sometimes grim realities of being a war correspondent and an investigative journalist. Ten Beach Road, my newest novel, is a story about three women– strangers to each other– who lose everything to a Ponzi scheme and then spend a sweat soaked summer trying to bring the derelict beachfront mansion, which is all they have left, back to life. Like all of my books, Ten Beach Road deals with inner strength, self discovery and getting by with a little help from your friends. Bottom line, each book and cast of characters present unique situations and challenges. A scene might take a turn and suddenly demand information or background you didn’t realize you’d need to know. I’ve learned the hard way to research those things on the spot or risk the entire story grinding to a halt. Because if I don’t understand how something works, neither can my character. And, ultimately, neither will the reader. Someday came when Wendy began reading about how the lives of so many people, from so many different walks of life, changed dramatically as a result of Bernie Madoff’s Ponzi scheme. It wasn’t long before she was imagining a scenario in which three women face bankruptcy at the hands of an unscrupulous money manager. At the end of the day, these three strangers discover that all that’s left of their savings is shared ownership of a once-glorious beachfront mansion. They’re faced with a choice. They can cut their losses and sell for whatever amount of money they can get, or—in a bid for solvency—accept the backing of a local contractor in order to restore the historic property themselves, bit-by-backbreaking bit. The basics of her plot and the themes Wendy imagined—women facing adversity, making choices, redefining themselves and discovering the strength of friendship—gave her a wide range of possible settings for TEN BEACH ROAD. When it came time to embrace ambiance, architectural styles, and local color, she chose a place she knows well, her hometown of St. Pete Beach. It was right for so many reasons. Its tropical climate, dual cultures of vacationers and residents, and even the current real estate market fit her story well, and presented challenges her characters might not have faced elsewhere. Of course, it also gave Wendy an opportunity to indulge in researching the Mediterranean-Revival architectural style she so admires and the history of the area, as well as to share her pleasure in magnificent Gulf sunsets and some of her favorite spots in Historic Pass-a-Grille. Among her fondest memories are visits to her local library. Wendy read voraciously as a child, becoming fast friends with Nancy Drew and Anne of Green Gables. Her love affairs with language and storytelling paid off beginning with her first shift at the campus radio station while studying journalism at the University of Georgia. Wendy returned home, graduated from the University of South Florida and then worked for the Tampa PBS affiliate, WEDU-TV, behind and in front of the camera. Her resume includes on air work, voiceovers and production work on a variety of commercial projects and several feature films. She was best-known in the Tampa Bay area as the host of Desperate & Dateless, a radio matchmaking program that aired on WDAE radio, and nationally as host of The Home Front, a magazine format show that aired on PBS affiliates across the country. The mother of a toddler and an infant when she decided to change careers, Wendy admits it may not have been the best timing in terms of productivity. “I’m still not certain why I felt so compelled to write my first novel at that particular time,” she says, “but that first book took forever.” Since then she’s written six others, including Magnolia Wednesdays, the Romance Writers of America RITA Award finalist The Accidental Bestseller and Single in Suburbia. Her novel 7 Days and 7 Nights was honored with the Virginia Romance Writers Holt Medallion Award. Her work has been sold to publishers in ten countries and to the Rhapsody Book Club, and her novel, Hostile Makeover, was excerpted in Cosmopolitan magazine. Wendy lives in Atlanta, which she has called home for 14 years. A former broadcaster, she spends much of her non-writing time speaking to writer’s groups and book clubs, enjoying time with her husband and sons, and visiting her family in St. Pete. She continues to devour books. Wow..the range of topics Wendy took on is impressive. It’s tough to start from zero and build up a base of knowledge–enough to where you can sound confidently informed when you write about it. My WIP involves a stalker and one of the characters has to shoot a gun. I have no experience with either. So, I went to a gun range (brought a friend for moral support) and gave it a go with a 45. My imagination couldn’t have done justice to the power behind a hand gun. I then read several books, including personal experiences and psychology texts on stalking. Topped it off with an interview with a psychologist who specializes in stalking and consults on high-profile cases. (Getting the 45-minute interview was a real coup.) Read up on restraining orders, etc. It’s all been fascinating, fun and a bit creepy. Thanks for sharing your experiences, Wendy, and letting us know that we don’t have to stick to writing about what we already know. I so agree with wrddreamer – write what you want to know is a great way to think about our writing. My third book was about a woman who was supposedly kidnapped and I had to research what rights her husband had with regard to getting a divorce and all that. And the two people I spoke with couldn’t have been more willing to give me as much information as I wanted. It was so fun! Thanks for the great post, Wendy. Wonderful post, Wendy. I read and loved The Accidental Bestseller, and I also really enjoyed Hostile Makeover, which is one of my favorite book titles ;). Thanks for sharing all the things you’ve researched with us! What an inspiring post, Wendy! Thank you so much for sharing your experiences in writing women’s fiction. Your books all sound so wonderful and I couldn’t help but call my book store and order one to get started. 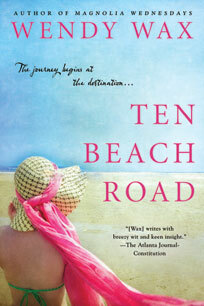 Hopefully by late this afternoon ‘Ten Beach Road’ will be in my hands and I’ll be reading! I know I’m very late to this post, but I really enjoyed it, Amy (and Wendy). I so totally agree with the research aspect of fiction. I was surprised at the amount of research my current WIP has taken but, like Wendy – and also once a journalist – a bit happy to be doing so. My current WIP requires knowledge of greenhouse keeping, ranching, mortuary science, correctional facilities, nursing homes … and I’m sure I’m missing something! Thanks for hte introduction to Wendy. She’s on my to-read list!